Caverion and Liikennevirta Oy (Virta) have concluded a cooperation agreement on the installation and maintenance services of EV charging points in Finland. 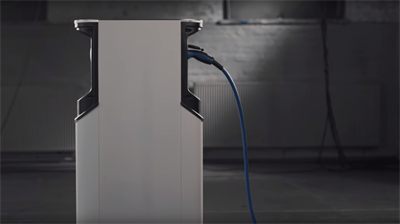 Caverion will be responsible for the installation and maintenance of the EV charging points delivered by Virta. The operations will initially start in five locations and later expand into a nationwide service, for which Caverion's trained personnel will assume responsibility. Virta currently runs the largest public EV charging network in Finland, and the cooperation will enable also Caverion's customers to acquire Virta charging services directly through Caverion. The companies are planning to start similar cooperation also in Sweden and Norway, where Caverion has an extensive service network. “The next electric car charging phase will focus on business properties. In these properties, parking spaces are key EV charging points and part of the property's overall service. Caverion is an internationally capable operator and an excellent partner for Virta, making an outstanding contribution to the highly professional Virta Partner installation and service network and its nationwide availability. Through the cooperation, we can offer the most advanced, energy-smart charging services for properties,” says Janne Koski, Sales Director, Finland at Virta. “We are happy that Virta selected Caverion as its partner. Our service supports low-emission traffic. We ensure the uninterrupted availability of charging devices, which makes it easy for people to choose a cleaner transportation option,” says Tapio Lajunen, Business Manager at Caverion Finland.